I think it’s clear I adore London (I’m known as @AboutLondon) but I also enjoy travelling around the the UK. A wonderful summer road trip took me to many new places and I fell in love with the diversity of the UK all over again. 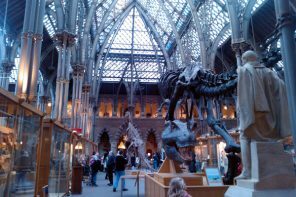 From the North Yorkshire Moors Railway to indulge my inner Harry Potter geek to exploring Birmingham and The Midlands for a more urban stop, as well as the ongoing Great British Playground Tour, I have found parts of the country I haven’t seen for many years. But the area I chose to return to first is Northumberland, the most northern English county. The train journey from London to Newcastle is less than 3 hours but hire a car from here and drive out into the countryside and the contrast is even more impressive. Take the coastal scenic route and drive for a few hours north and work your way back down to Newcastle over a long weekend. Shortly before reaching Scotland you’ll see the crossing for Holy Island and Lindisfarne Priory is an interesting place to visit. Before driving up there do check the tide tables as you want to make sure you have time to enjoy the island. The Priory dates back to c.1150 and is a place of pilgrimage for Christians today. 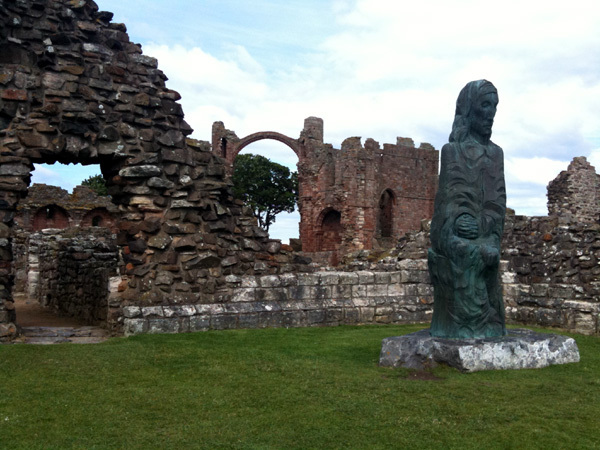 There’s a small, but interesting, museum that tells the story of St. Cuthbert and the Lindisfarne Priory’s long history. That’s enough travel for one day and I suggest driving south for an hour and staying at Doxford Hall Hotel & Spa as the swimming pool and spa are a real treat after a long day. 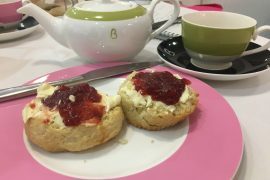 I’d also recommend the afternoon tea here as it’s incredibly well-priced and just as lovely as any London hotel. On the next day, head to Alnwick Castle which is about a 20-30 minute drive away. We went to a lot of castles on the summer road trip but Alnwick Castle was a real highlight as it’s Hogwarts. Yes, Alnwick Castle was ‘Hogwarts School of Witchcraft & Wizardry’ in the first two Harry Potter movies and broomstick flying lessons were filmed here too. 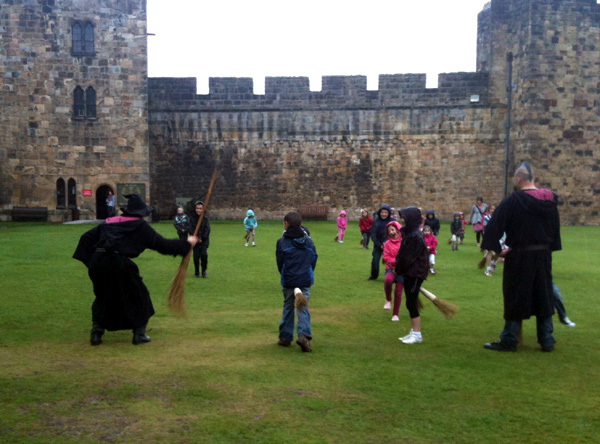 Lots of young Harry Potter fans visit so there are activities on every day and my daughter joined in the broomstick training which was one of the funniest things I’ve ever seen. The kids were told they wouldn’t be allowed to fly that day as the weather was too bad and indeed it was raining heavily but they all stayed and completed their ‘lesson’. 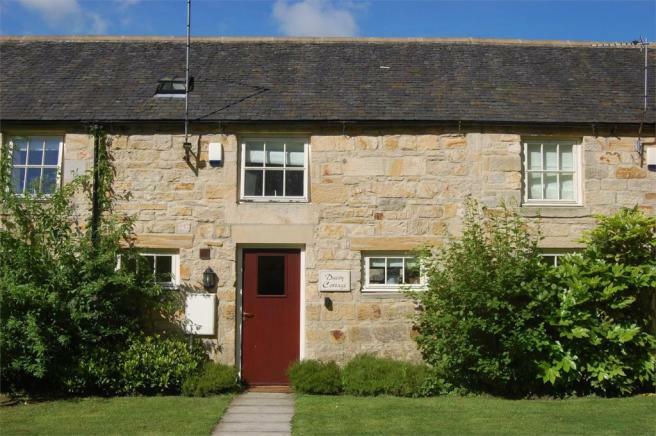 For a relaxing night in we stayed at Guyzance in one of the lovely country cottages. If that wasn’t good enough, we had access to a private swimming pool that we had exclusive use of at certain times of the day. Yes, a pool all to ourselves! A perfect Sunday morning in Northumberland, in my opinion, has to include a trip to Barter Books. 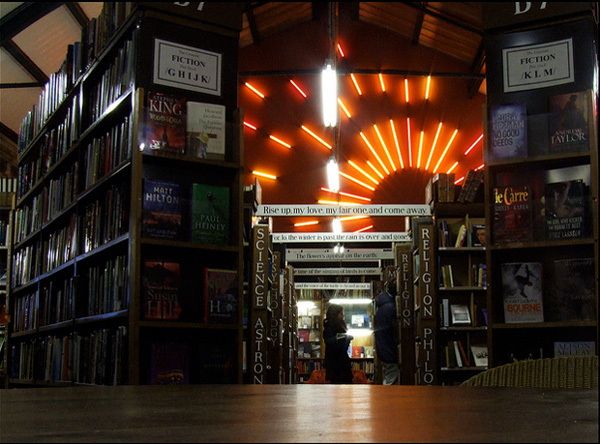 This is one of the largest secondhand book stores in Great Britain and it’s housed in the old Victorian Railway Station at Alnwick. 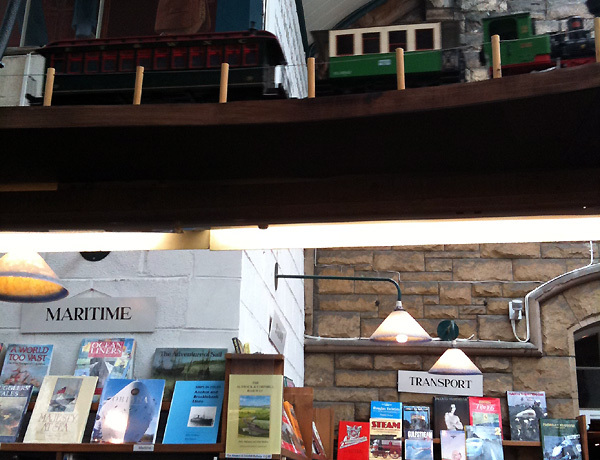 There’s even a model railway running over the bookshelves which surprises every first-time visitor! The ‘Station Buffet’ offers great light meals and decent tea, plus free wifi. The children’s section has a wooden train for the kids to sit inside while reading and mini-bugs to ride around while choosing books. I wonder why anyone ever leaves. 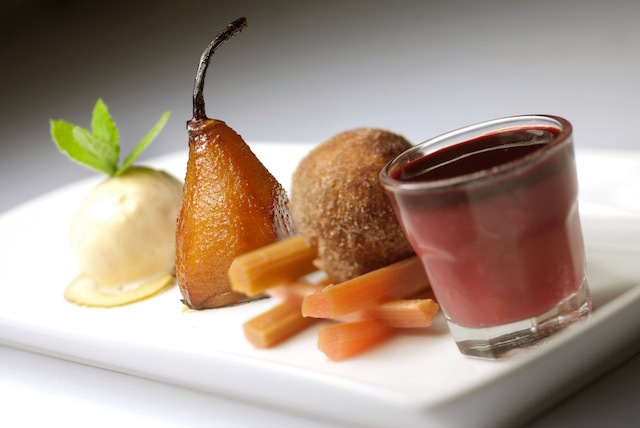 The best fine dining in the area is at Eshott Hall. As a vegetarian I too often only have one option on a menu (and that’s usually Mushroom Risotto) but at Eshott there is a choice for veggies, as well as everyone else, and all were tempting and much more adventurous. I was able to get a tour of the rooms too and can tell you this country house hotel is perfect for a romantic weekend away. 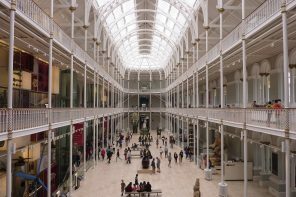 The service was exceptional and the room prices were incredible when compared to London as they were far more spacious and opulent than most and only a fraction of the cost. Nearer to Newcastle, stay at Close House Hotel where the converted contemporary-styled Courtyard Rooms are truly wonderful. These rooms away from the main hotel building are bigger than many one bedroom flats in London and I loved the attention to detail with the decor in each room using an accent colour from the golf course photos on the walls. The golf theme is there for a reason as this is the perfect place to stop for a day’s golf with two courses and a Golf Academy available, with state-of-the-art missile tracking technology to help you improve your swing, and a flood-lit driving range so you can play late into the evening then hang out at the No. 19 Clubhouse which has a fun vibe. I really liked staying here and am confident it would suit weekend trips from London for football matches and games of golf. The owner supports a local charity (CHUF) too. Northumberland now hold a special place in my heart and will I definitely go back again. I’ve yet to visit Bamburgh Castle although I have driven nearby, nor have I enjoyed fish and chips at Seahouses which has been recommended. And Waren House Hotel looks like a great place to stay nearby. 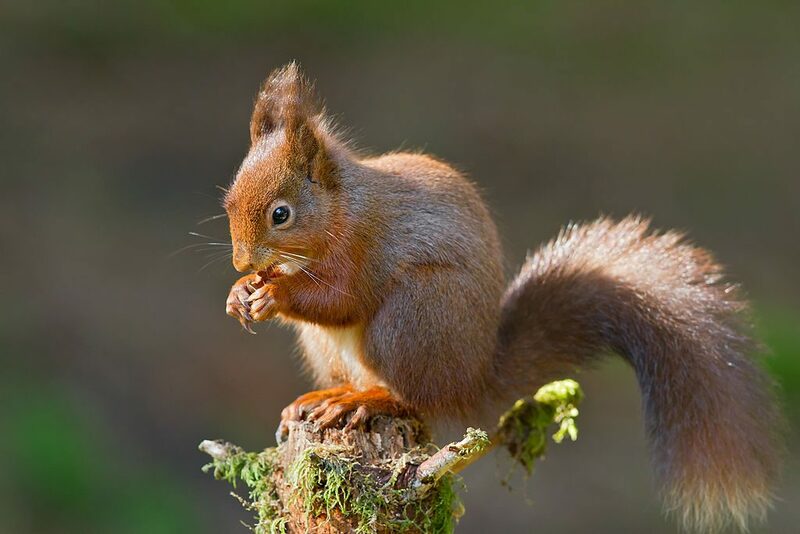 I have, at last, seen a red squirrel and the locals told me they have to report sightings of grey squirrels as they are vermin. They were surprised to hear my London garden has grey squirrels and foxes in it every day as these animals have become so tame living in urban environments. I did feel lucky to see the red squirrels as they only live in small areas of England, and not in the London area. 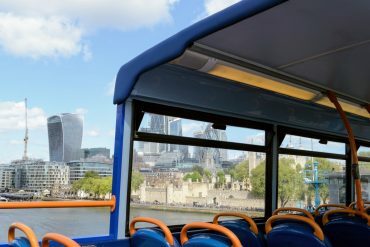 This article first appeared on the Visit Britain Super Blog in 2011.